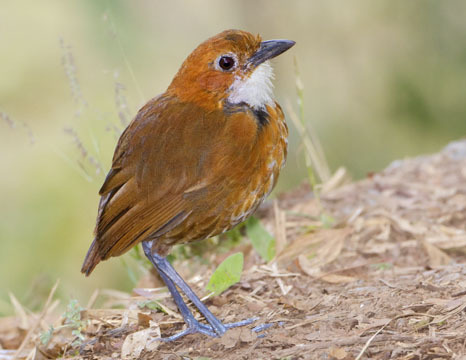 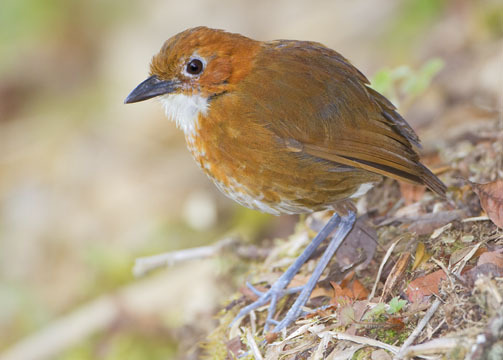 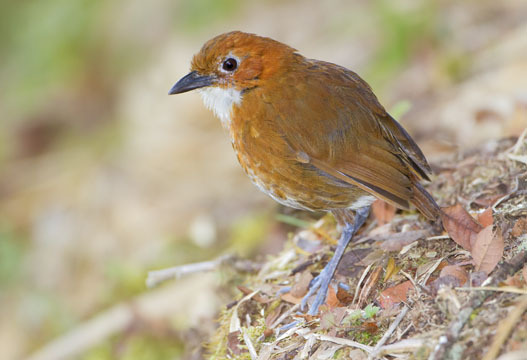 Antpittas are one of a large group of 'antbirds' (also including antbirds, antwrens, antthrushes, and antshrikes) native to the Neotropics. 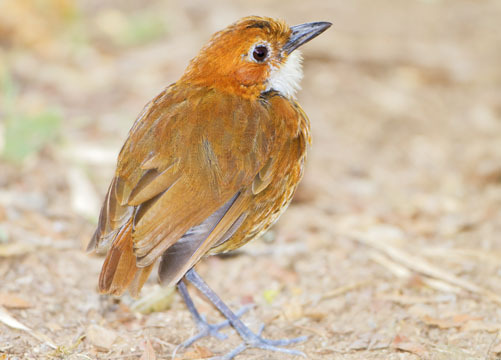 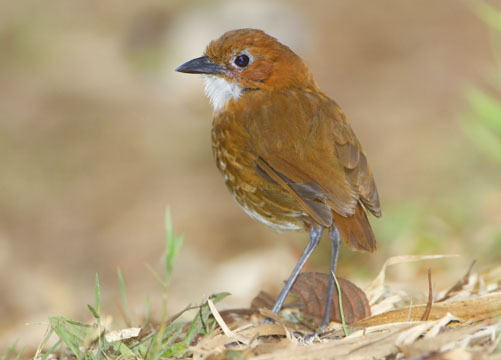 This species, the red-and-white antpitta, is typical of antpittas: long-legged, plump, short-tailed ground-dwellers. 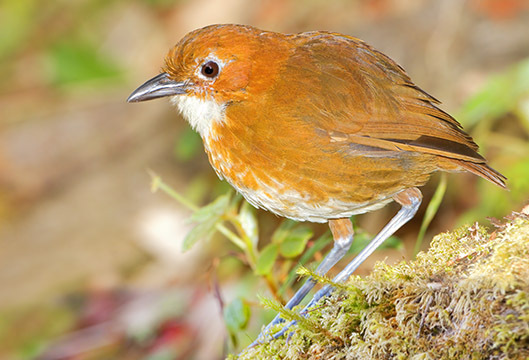 This particular species is endemic to the Peruvian Andes; I photographed this individual in a bamboo thicket at about 2800 m altitude along the Manu Road.